It’s often hard for writers to figure out what process works for them. Natasha posted to a blog chain sharing a few thoughts on her process a few weeks ago, and Storywonk Sunday devoted most of their podcast last week to talking about process, including their concept of the ‘Frog Box’, which I love; it’s a feature on their website that prompts you with process ideas to try, that other Wonks have sent in. I stumbled across something new in terms of process for revising while I was at Odyssey, and apparently it’s stuck with me. The first thing you need to understand is, I’ve done a lot of critiquing before going to Odyssey, but aside from the few in-person writer’s circles I’ve gone to, most of it has been with electronic manuscripts; the novel swaps forum on Nanowrimo.org and the CSSF short stories workshop rely on email, and critters.org has a hybrid system where you can get manuscripts emailed to you or download them off the website, and send them in either way as well. At Odyssey, everything was hard copy. You printed out your story when it was ready, Jeremy the work-study writer made fifteen photocopies, stapled them, and handed them out to everybody at the morning lecture. We made notes in pen on the hard copy, typed up and printed our overall critique of the story, and handed in the critiques and the marked-up manuscript back to the author after everybody had said their piece in the circle. It’s a system with a lot to recommend it; there’s no confusion over possible multiple copies emailed out, or any possibility of somebody not getting the manuscript critiqued because the college wifi decided it didn’t like their laptop. Also, it means that it’s a lot harder for anybody to keep copies of somebody else’s work, which I can understand a lot of workshoppers being concerned about. I have issues with pens. I’ve been holding them an unusual way ever since I was little, my handwriting is horrible to read, and for most things, writing in pen on paper saps my creative energy like a black hole sucking up everything that comes near. But marking up a printout in pen is never the worst thing. I’ve been able to critique in pen on paper before, and I did some of my Block Revision last summer with pen and paper–but when I needed to write long passages I had to switch over to the Alphasmart. When I was working on a story to submit in week 2 of Odyssey, after I’d come up with a first draft, I was having a hard time looking at what I’d written on the computer screen and figuring out what changes I needed to make before I submitted it. So, somewhat whimsically, I printed it off and tackled it with my official Odyssey pen as if it were somebody else’s story I were critiquing, and that worked quite well. Like with Block Revision, I wouldn’t write many words on the manuscript, but generally with just a short scribbled phrase I could tell myself what I needed to know to expand on a scene or insert new action. I did that with every piece I submitted for the rest of Odyssey, and for the story I abridged to read at the Flash Fiction Slam in Nashua. I guess I hoped that after being home from Odyssey for a week, I could go back to editing by staring at the computer screen. Either that, or I entirely forgot about this new approach. But I went back to the paper and pen approach for my new revision of ‘Masterpiece’, and it’s still working great. Something about having a pen and a printout really brings the best out of my Inner Editor; who’d have thunk it. Maybe he’s just trying to find his own thing and emphasize how different he is from my Inner Pantser, who’s all about fingers on the keyboard. Whatever. As long as he’s willing to perform, I don’t mind killing a few trees for him. We’ve been talking quite a bit about first drafts versus revisions here at the workshop, especially because a lot of the process is critiquing and revising. One thing that I thought was interesting was the notion that a lot of the participants, and apparently a lot of sci-fi/fantasy writers, prefer revising to writing a first draft. I can’t really understand this. I usually have a lot of fun writing the first draft, and less so when revising – because the revising is where the hard stuff starts. (Not a hard and fast rule.) And Chris M said something to me when critiquing my scene yesterday that maybe I should try to concentrate on writing the best word, and not writing too many words. That’s good advice, but I’m not sure that I’ll worry about it too much in my first drafts. There’s plenty of time to focus on that level of detail with revisions. ‘My Alien Wife’ – and Critiquing Crusaders! 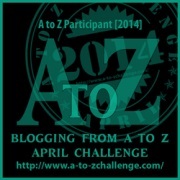 Before I get to part 13 of the A-Z challenge… (halfway through, whoo-hoo!) I’d like to share a little crusader thing. It occured to me last weekend, that there are probably a lot of crusaders who’d like to form writer’s groups or do critique exchanges, and so I’m stepping up to volunteer as a facilitator/organizer, if anybody trusts me with something like that. Head over here to sign up if you have any interest. Critter: (noun, dialect.) A reader who undertakes to provide a constructive critique or helpful feedback on behalf of the author of the piece being read. Critters are great. Critters are indispensable to my writing process, and I suspect that 90% of successful writers have critters of some sort. Where to find good critters can be a difficult problem. Non-writer friends are often not the best critters, because they don’t always understand what kind of detail is helpful to a writer. Writer friends can make good critters, but not when they’re busy with writing first drafts of their own. Critter exchanges can be a very good arrangement, or writer’s circles in which the entire group acts as critters for each of the members in turn. 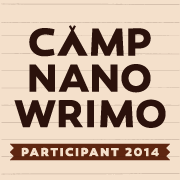 I’ve found some good critter exchanges on the ‘Nano swaps’ forum of the National Novel Writing Month online community, and I’m attend two local writer’s groups that do critiques of pieces that members bring in. I’ve even acted as a critter wrangler for the Stringing Words online forum, organizing their third CritMo (Critter Month) event and pairing up authors with volunteer critters who read their pieces and send in feedback. I went back to the New writing workshop last night – I had a good time and got some good notes on the first three pages of “The Landing”, as well as listening to some funky poems and stories and telling the other writers what I thought about them. It was definitely a different experience than the first time I went, in September. I came prepared for some ‘intensely constructive criticism’, and it wasn’t as bad as I thought it might be. But there was something else that I was reacting too differently. The workshop co-ordinator made a point of spelling out ‘his rule’ for these workshops – the author hands out the copies, gives a little explanation if he (or she) feels inclined to, reads… AND THEN SHUTS UP. The rest of the group are then free to respond in any way they feel moved, to get into a discussion among themselves, but they are not supposed to ask the author questions. And the author is not supposed to reply to their feedback, beyond the level of grunts or pleasantries perhaps. I do remember something being said along these lines back in September, but not as clearly – and I definitely didn’t follow the rule back then. That was a lot of the problem, I see now – I started to get defensive about my story, which probably got some of the other participants more insistent on making their points. This isn’t the only way to run a critiquing circle, of course. The Chester’s group has a format where the people who wrote the piece are welcome into the discussion, and questions are often asked of them, and that works quite well for the group there by and large. But the rule for the new workshop probably encourages more indepth criticism, as opposed to promoting encouragement of authors. I’ll definitely be going back to James street north for the New Workshop again this winter. And – I’m sorry for arguing back last time, guys. This isn’t a particularly uplifting holiday thought for Christmas eve, but – sometimes doing critiques for other writers can be very personally discouraging. Because most of them are so good. I keep thinking that I shouldn’t feel that way, that it should be incredible how many interesting stories are being told, but… in terms of my goals of becoming a famous, published, or notable author, it can be depressing to stand in a huge crowd, and not be able to turn in any direction without seeing somebody who looks just about as talented as me, as far as I can tell. There can’t be enough room for all of us in the bookstores, can there? There just might be enough room on Amazon for all of us, but how many people would keep searching that long? I’m going to stop this ramble early, or I’ll just bum myself out even more. Happy Christmas to us all, and goodnight! May whoever you believe in provide good loot under the Christmas tree. Getting Published… what’s the next step? It’s been a little while since I’ve really been focusing on the idea of getting published – I joined up with NaNoPubYe a few weeks ago, but haven’t really done anything over there. But it’s been nagging me that I should be getting back to this, and I’ve been wondering about what the next step should be. Writing? No – I’ve really got enough interesting projects written that I don’t particularly need to start a new one. Editing or revising? Perhaps, but I’m not really sure what directions I need to take. So getting critiques, both on novella-length drafts and shorter stories, seems to be a good place to start. The critiques that I’ve been working on getting for Workshop portfolios could actually help me sell those short stories as well, and I want to be posting ‘Won’t somebody think of the children?’ for Novel swaps by the end of the month. And come to think of it, I do still have a critique for ‘The Long Way Home’ that I haven’t really looked at in detail yet – it never seems to be time to read through it. Like somebody said, there never seems to be enough time, energy, and focus in my life. I’ve only mentioned it here in passing, but I’m seriously planning to get to a six-week genre writing workshop for the summer of 2011. I’ve researched three of them: Clarion, Clarion West, and Odyssey, and I’ve gotten approval to take some unpaid sabbatical time in addition to my paid vacation if I’m accepted to one of them. However, what I’m confident in submitting for my portfolio is starting to become a little clearer. Clarion wants 2 different short stories, between 2500-6000 words each. Clarion West doesn’t mention word counts at all, but wants from 20-30 pages of work sample in manuscript format, which looks like it would be around 4500-6800 words. Odyssey wants a sample of no more than 4000 words. Clarion West and Odyssey both suggest that a complete story would be good if possible, but don’t insist on it. And in reviewing my available stories, I sidelined three of them pretty quickly. “The artifact” is still very rough, which is understandable considering that I conceived it and wrote it in five days in an unfamiliar city. Which is what I’ll have to be doing over and over again for these workshops, apparently, but I don’t necessarily need to pick a story for my portfolio on that basis. “Wolves of Wyoming” and “The case of the Wizard’s vice” are in better shape, but I’m not that confident about either of them considering that they’d have a strike anywhere I’d be submitting them. They’re fantasy, and though Clarion and Clarion West don’t rule out including other fiction genres in the portfolio, (Clarion West even makes a point of saying that in their FAQ,) they ARE specifically Science Fiction workshops. And both stories are around 5,000 words, so I’d need to trim them down for Odyssey. That leaves me with ‘Harry and Mars’, ‘The Landing’, and ‘Exploration and Evaluation.’ I do like ‘Harry’, though it got a somewhat mixed response at Hamilton Writers last night… it’s short enough that I can expand the characterization somewhat (which it badly needs,) and still fit the Odyssey word count. The new draft of ‘The Landing’ was received very well by Hamilton Writers when I brought it back to them in September, and it should fit in the middle of the page count guidelines for Clarion West. Once I’m comfortable with them, I can submit them both for Clarion. ‘Exploration and Evaluation’ is less strong overall, but can stand as an alternate just in case I see some flaw in one of the other stories that I can’t fix at the last moment. One thing that I’m considering trying with ‘Harry and Mars’ would be a significant change that might make the word count explode, but I think that it’s still worth a try. As written, the first draft concerns a suicide on the first successful mission to Mars, and that was probably part of the original idea that I had when I started writing it back in September. Somebody at the meeting mentioned “One problem I have is that it’s not that sudden, when you decide that you’re going to kill yourself,” and it sounded like he knew at least a little of what he was talking about. That got me to thinking, what if the first suicide attempt wasn’t successful, if they get to Harry in time to save her life – then what? Can they really keep one member of a five-person crew on suicide watch? With that change, I was also considering changing my POV from Harry herself to Charlie, the engineer, who could be the one who saves her. Okay, I think that that’s enough blog rambling for tonight. Wish me luck with all my portfolio stuff, everybody! UPDATE: I’d also like to announce to anybody who cares, that I expect this blog will remain proudly snow-free for the holiday season. The Weather Network is telling me that I’ll be getting enough of the stuff outside over the next few weeks, so I don’t intend to let snow into my cyber-world! There’s nothing like hearing some positive feedback to lift your spirits. One of the other writers read a short essay about critique groups, how to tell when you’ve found a good critique group and make the best of it, and that sort of thing. Everybody liked the overall thrust of the article, though we had some minor polishing notes. I’m hoping to get her permission to repost it up at Stringing Words when it’s finished. Taking serious criticism is a tough gig. Possibly one of the hardest stages in any kind of artistic endeavour is having to open your work up to criticism. I was invited, along with everybody else who was at the local Hamilton Writers meeting four weeks ago, to a new Hamilton Artists’ Writers Workshop. I was excited about giving it a try, and missed the first session owing to a confusion about the dates, but I was also nervous from the start about bringing something of my own to get critiqued by a group of unfamiliar writers. I ended up bringing copies of a short story that I very much like, ‘The case of the Wizard’s Vice,’ a sort of Agatha Christie meets Harry Potter caper. Because there wasn’t an abundance of time, I only got to read the introduction and the denoument, skipping over the interviews in the middle, but the responses I got definitely had me thinking about the piece in a very different way, and had my head spinning for a little bit. There were a lot more notes, not all of which I’m going to review here, but… I think I’m not going to be able to start a fresh draft of the story immediately, which is probably good, I can give myself time to let it settle and ask a few writer friends what they think of the notes before immediately changing things. Still, I’m glad that I went and took a chance – it’s better to hear this sort of thing now than to keep thinking that the story is beautiful and flawless, and maybe start pushing hard to sell it without thinking of the ways that it could be made accessible to a different audience. In other news, I have awarded the Versatile Blogger award to Merinda Brayfield, who’s also a long-time friend of mine from the #nanowrimo chat room. It’s nothing personal that I didn’t also give her the One Lovely Blog, but I felt that it didn’t entirely make sense to keep the two awards together the whole time, so unless I particularly want to award both of them to the same people, I’ll be picking just one or the other.